Posted February 27th, 2013 by David Porter & filed under Hot Topics, Social, Sponsorship. Should Cyclists Get Better Treatment? As if the sport of cycling needs more controversy after the Lance Armstrong scandal, (somewhat tempered by British success on the tracks recently), along comes an issue causing ripples. It turns out that no space is immune. Inner city streets, small country lanes and towns and villages are all now tracks for tomorrow’s budding Bradley Wiggins and Laura Trott to trial themselves, as if in permanent training. According to Nicholas Hellen and Georgia Graham in The Sunday Times, 10 February 2013, the busy and heavily-used South Circular Road in London with a speed limit of 30mph has logged a top cycle speed of 41mph. Apparently cyclists are developing virtual races with each other on public highways, monitoring themselves with GPS tracking devices. Safety campaigners are up in arms about how it encourages recklessness. Edmund King of the RAC said that ‘racing on two wheels or four is best done on a track or velodrome’. Certainly, the desire and/or ability to stop at traffic lights, to avoid pedestrians, children and animals and to awareness of the needs of others is jeopardized by racing cyclists who are focussed on improving their personal bests all the time. The free site Strava, for example is one that allows users to upload times for any segment of a distance for comparison. It works for runners as well as cyclists. Copying from the Tour de France, they call the record holder of a given section a title – ‘King or Queen of the Mountain’. Visible for all to see are riders’ names, times speeds and dates of best runs. It is reported that paying subscribers can see more. Data including a rider’s heart rate is available. There is a view that this sort of technological back up merely exacerbates the problem and encourages people to see the public arena as their own personal race track. The Sunday Times team put the theory to the test, that cyclists were achieving record times on crowded London streets. Sure enough, a motorbike ridden legally and obeying the Highway Code performed more slowly than most of the Striva entries. They found that a woman named on Strava covered 1.9 miles on London’s Embankment in 2 mins 57 seconds. A man did it 2 mins 23 seconds. The motorcyclist, stopping as required by traffic conditions, only managed 4 minutes 27 seconds. MBF Blogs sponsors Ironman triathlete Joe Skipper. He uses the Strava site as a legitimate part of his rigorous training regime. He races on roads in properly organised events where public and sportspeople safety is paramount. Some true athletes have said there is little or no thrill shaving off a second or two from a record in an urban landscape. Instead they prefer genuine country, wild, natural locations such as mountains where the training, particularly for real competitive sport, is more difficult. Joe trains with others, he times himself and keeps monitoring and comparing. But he doesn’t do it on public roads putting ordinary people at risk of life and limb. Just What Are the Issues Here? There is already a war between two wheels and four, between two wheels and two feet. Deaths and injuries of cyclists are still very, very high compared with other transport users. The news that cyclists are breaking the laws by such a margin has helped polarise debate in Britain. and if we want another Bradley Wiggins in the next few years, we have to tolerate it. the technology can still be harnessed in safer locations. So, where do you sit? 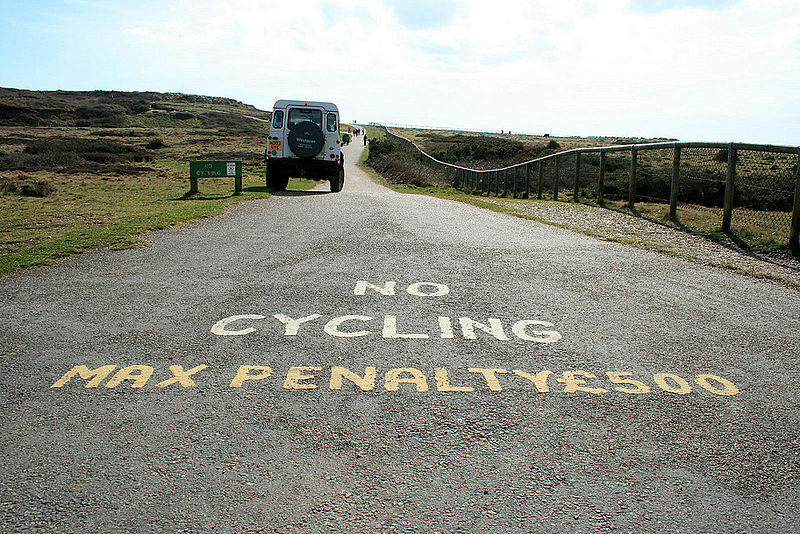 Let us know before you go off for your bike ride…..